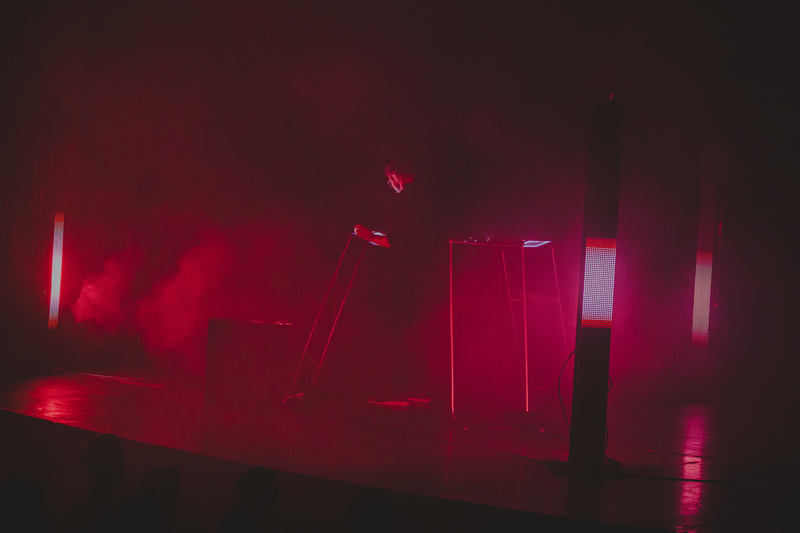 Always an outward-looking, globally-tuned organization, MUTEK was initiated to connect Montréal with international creators and to encourage creativity at home by giving local artists a quality platform for expression and development. The festival’s commitments to networks, interconnectivity and exchange culminate in another strong showing by Canadian and Québec artists at MUTEK Spain. 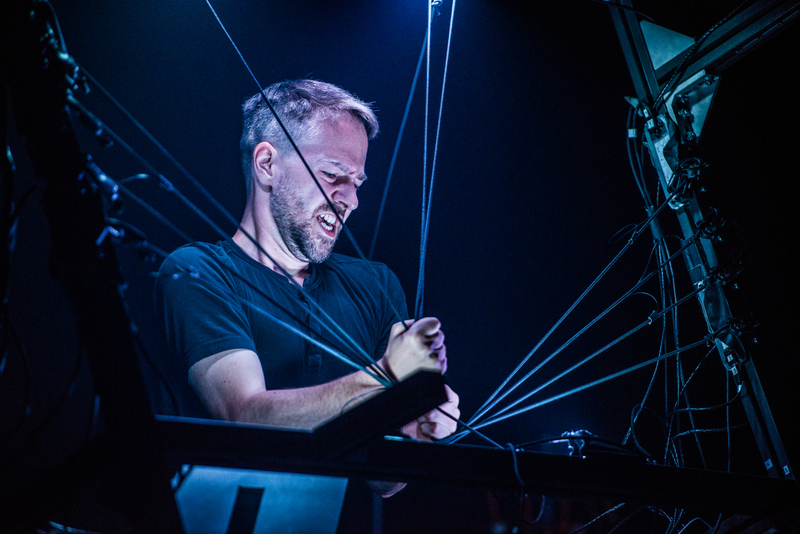 Following on last year’s Inter_Connect program in Montréal which saw a day of showcases focussed on Barcelona, the mandate to mingle and cross-pollinate artists and projects internationally continues at the ninth edition of MUTEK.ES. Thanks to the support of the Canada Council for the Arts, the Conseil des arts et des lettres du Québec and the Embassy of Canada in Spain a total of 6 artists will be performing in Barcelona. Langevin-Tétrault offers an action-oriented allegory of freedom in our modern interconnected world by progressively building Interférences (String Network) on stage: a unique and imposing audiovisual string instrument that interprets his electro-acoustic composition in real-time while setting off an audio-reactive play of light. ➤ Watch a preview here. Alexis Langevin-Tétrault will be performing at Digi Lab by Mazda on February 17. Herman Kolgen’s reimagining of Steve Reich in his audiovisual work Train Fragments will come to thunderous life when it is performed by the Catalan Frames Percussion ensemble comprised of members and students from the renowned ESMUC music school in Barcelona. As at-home surrounded by wires and synths as she is before a pipe organ, Kara-Lis Coverdale blurs the lines between human and machine in multiple channel, multi-timbral collages that conjure symphonies of the sacred, profane and transcendent while navigating new ecologies with an ease we cannot yet comprehend. Informed by a Masters degree in musicology and composition and an ingrained love of hip-hop and rap, sampling, and capsized New Age, Coverdale’s music mobilizes traditional vocal and instrumental sources into surreal dreams of earthly existence. Live, Paris presents recent results of algorithmic research in a sensory physical and textural, socio-politically resonant performance. His light and sound-sculpting A/V work AntiVolume IN/EXT explores the constant motions and dynamics between timbre and colour, interior and exterior, reinterpreting ambient noise, techno tropes and rave-ish rhythms. This initiative was made possible thanks to the financial support of the Conseil des arts et des lettres du Québec and the Embassy of Canada to Spain. The artistic director of MUTEK, Alain Mongeau, will also be traveling to Spain thanks to the support of the Québec government's Ministère des Relations internationales et de la Francophonie in the context of the project 101010.